Twenty-five members have been named to the Civil Society Working Group on the third UN HLM on NCDs. They will join two Co-chairs: the WHO Assistant Director-General Dr Svetlana Axelrod and the NCD Alliance CEO Katie Dain. The Working Group’s aim is to advise the WHO Director-General on “bold and practical recommendations on mobilising civil society in a meaningful manner to advocate for a successful high-level meeting in New York,” according to the WHO. "I am honoured to co-chair this civil society working group with Dr Axelrod, and look forward to working with its highly regarded and respected membership, which embodies diversity of regions, genders, interests and experience,” said Dain. "I am honoured to co-chair this civil society working group with Dr Axelrod, and look forward to working with its highly regarded and respected membership, which embodies diversity of regions, genders, interests and experience.” - Katie Dain. 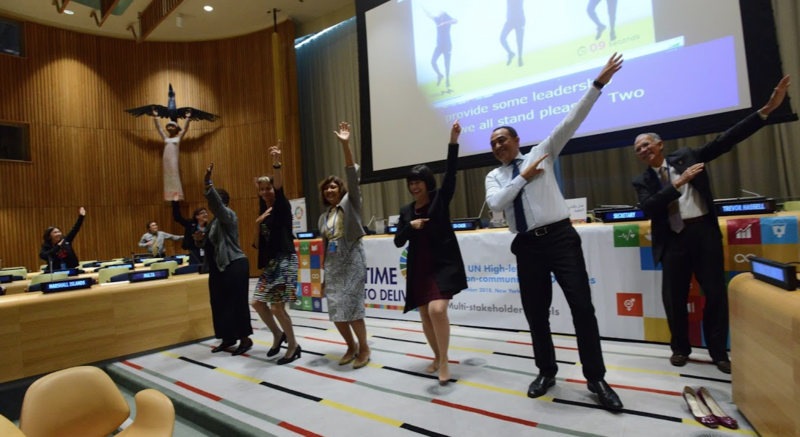 “The initiative and the members’ broad networks will ensure comprehensive and constructive collaboration, and a united civil society mobilising for the strongest possible outcomes from the UN High-Level Meeting on NCDs over the coming months and beyond,” she added. The Working Group’s terms of reference include recommending to WHO how to ensure that the 2018 HLM is more successful than the first two UN meetings, in 2011 and 2014, and proves to be a “tipping point for the NCD response”. The Group will hold its first meeting the week of 12 March 2018.